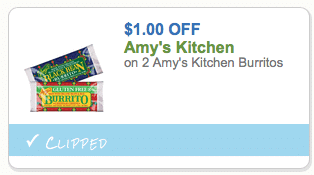 My kids LOVE the gluten & dairy free Amy’s burritos, so I printed my coupon right away. These often go on sale for $2, so $1.50 each after coupon! These make a filling lunch, and they’re really good! They have several different flavors and are sold at pretty much every store including Kroger, Whole Foods, Walmart and others.